On the outskirts of Perth in Scotland, lies the beautiful Scone Palace, and within its historic grounds the picturesque Perth Racecourse. A two-day meeting begins today, and brings to a close the 2016 season. The racecourse opened in 1908 and is the most northern of courses in the UK. There are records of intermittent racing taking place in Perth from as early as 1613. But in the early 1900s, Lord Mansfield offered his land as a permanent home, for the great sport of Kings to be enjoyed on a regular basis. A right-handed track of some 10 furlongs in distance, it’s a pretty flat and tight circuit, suiting horses with tactical speed. There’s a lengthy run-in from the last on the chase course, which can often see the picture of a race change quite dramatically. Scone Palace itself has something of a dramatic and colourful history. An important religious gathering place for the Picts (some of Scotland’s earliest inhabitants), it became the site of an early Christian church and home of the famous Stone of Destiny. Numerous Scottish Kings were crowned at the stone in Scone Palace, including Macbeth and Robert The Bruce. Charles II was the last to be crowned at Scone, when he accepted the Scottish crown in 1651. For those that thrive on a piece of England versus Scotland history, the famous Stone of Scone was stolen by the English in 1296, when the infamous Edward I (‘Longshanks’ from the historically accurate movie, Braveheart) took the stone back to Westminster Abbey. A ruthless ruler, Edward I would stop at nothing in his pursuit of power, crushing those that stood in his way. Seven hundred years later, the Stone was restored back to the people of Scotland and placed in Edinburgh Castle. The Stone of Destiny had last been used for the coronation of Queen Elizabeth II. Any trip to Perth races has to be accompanied by a spin around the Palace and grounds, to delve into the rich and vibrant history of the place. Once back on the racecourse for the serious business, it would come as no surprise to see an Irish raiding party, creating their own piece of Scottish history. Less ruthless than ‘Longshanks’ but just as effective, it’s almost inevitable that a race meeting at Perth will prove profitable for Gordon Elliott and his team. His last visit to the Scottish track on the September 6 gleaned two winners and three placed finishes. Rarely does Elliott leave Scotland empty handed, and he’ll be hoping that the trend continues at Perth’s final meeting. He’s once again set to team-up with Champion Jockey Richard Johnson, and with six runners today it’s hard to believe he won’t be stood in the winners’ enclosure at some point. Possibly the highlight of the meeting for Elliott could come on Thursday, should his promising young novice hurdler Carrig Cathal take up an entry and look to add to his recent Listowel success. He’s handed out defeats to several from the Mullins camp in recent months. The five-year-old gelding will be stepping up in trip, but is out of a Supreme Leader mare, and ought to be well suited. Elliott has been known to run decent sorts here in the past. His Cheltenham Festival Albert Bartlett runner-up Fagan, was successful here 12 months ago in the closing bumper. The Irish trainer is in the midst of preparing his high-profile contenders for the start of the Jumps campaign, including of course his Gold Cup winner Don Cossack, who it is hoped, will be fit to defend the ‘Blue Riband’ next March. 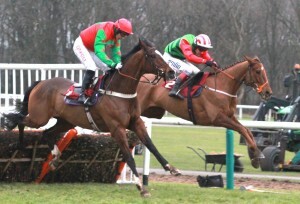 Another trainer that enjoys his forays north of the border, is Cotswold’s Nigel Twiston-Davies. He regularly sends classy sorts to the track for their seasonal debut. Blaklion and Double Ross have won here in recent years, and this week Ballyandy is likely to start his career as a novice hurdler. The Champion Bumper winner could well line-up against David Pipe’s Moon Racer on Thursday over two miles. It’s a mouth-watering prospect, which would see the two high class bumper horses clashing on their hurdling debuts. Whether it’s raiders from Ireland or England that prove successful this week, the winner on this occasion will also be Scotland, and in particular Perth Racecourse. The track’s seasonal finale looks set to be a cracker.